The Barça squad were at the Ciutat Esportiva on Tuesday morning for what they will all be hoping is not the last time ahead of a Champions League match this season. That all hangs on turning around a 3-0 deficit against Serie A leaders Juventus on Wednesday at 8.45pm CET. It’s not impossible. Barça already showed just what miracles they are capable of working in the previous round against PSG, and four years ago they came back from 2-0 down against another Italian side coached by Massimiliano Allegri, AC Milan, winning the return leg 4-0 at the Camp Nou. In warm sunshine, the first team squad was joined on the Tito Vilanova field by Carles Aleñá of Barça B as they finalised plans for what they are hoping will be another night to remember in the Camp Nou. 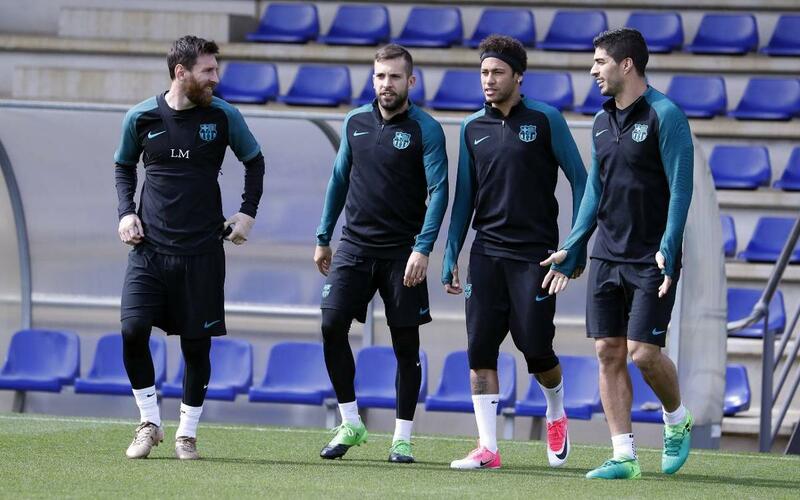 Javier Mascherano, Arda Turan and Jeremy Mathieu, all of whom have been having fitness problems of varying degrees over the last few days, were all able to train normally with the squad. Once the session concluded, coach Luis Enrique and midfielder Andrés Iniesta were set to give official media conferences. In the meantime, Juventus were also working out at their Vinovo training ground, having passed up on the opportunity to train at the Camp Nou this evening. The Italians will be taking a 3.00pm CET flight westwards and have scheduled a ‘walkaround’ in the Barça stadium for around 7.00pm CET, before which manager Allegri and former FCB and now bianconeri defender Dani Alves will be speaking to the press.